It’s Donna here playing along with a2z Scrapbooking June challenge, New Beginnings. I have a few cards I want to share with you. This weekend I could not stop playing with the Hero Arts ombre inks. I love all the ink pads, they are so easy to use and can be used on all sort of media. I chose to use them on a variety of background stamps. 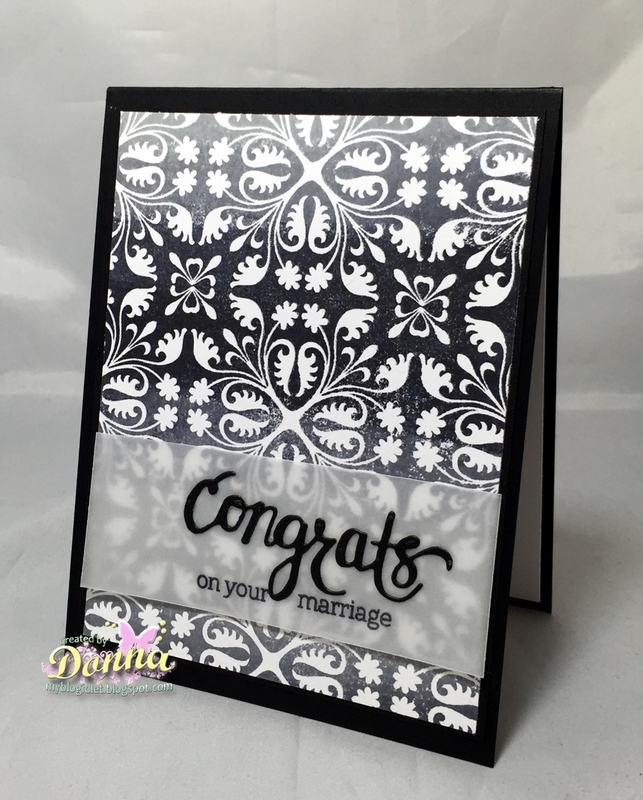 This card I used the Grey to Black Ombre ink pad for the background. I started inking the background from light to dark. I love how it keeps the colors flowing. I cut the congrats out from the Congrats Stamp & Cuts set. I used my Misti for positioning the sentiment. This card I used the Lilac to Grape Purple ombre ink and the background is Hero Arts Garden Tile background. I added the Hero Arts Royale Purple Gems in the center of the floral pattern. I cut the congrats out from the Congrats Stamp & Cuts set. I used my Misti for positioning the sentiment. This card I used the Mint to Green Ombre ink for this background. Doesn’t it look like real water! 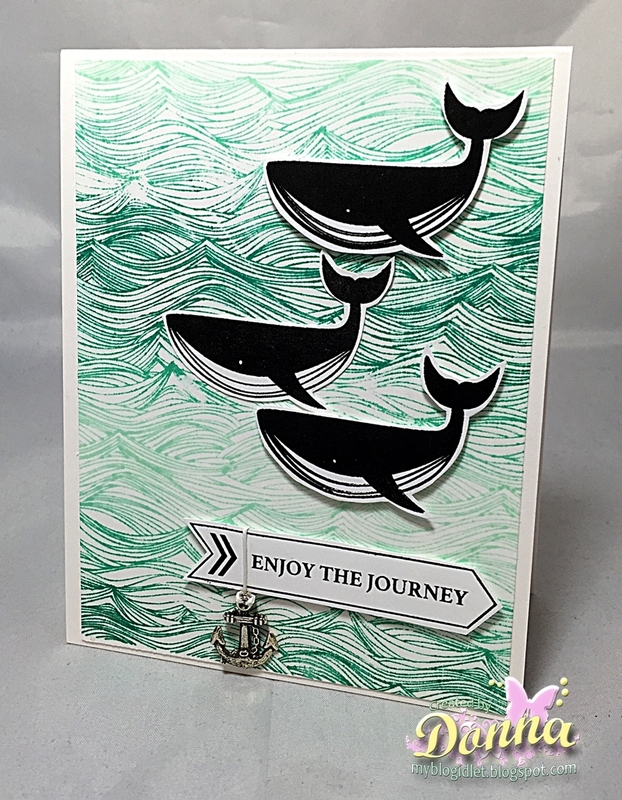 This background stamp is the Waves Background and the whales and sentiment are from the Hero Arts Set Sail stamp set. The charm is from my stash. I started inking the stamp with light to dark here too. Here are a couple of samples, the first one is the Butter to Orange, the middle sample is Pool to Navy, and the last one is Pink to Red. Wonderful ink pads, the formula is the same as the Hero Arts Shadow Inks. You can interchange the colors and achieve different looks also. There are 6 different colors of the Ombre colors. You can find all of these in the a2z Scrapbooking Store. I hope you enjoyed all of my cards and I did not overwelm you with all my samples. I so enjoyed making these cards. I hope I have inspired you. You can enter into the challenge on the a2z Scrapbooking blog. By entering you will have a chance to win a $25 Gift Certificate to the a2z Scrapbooking Store. If you decide to purchase anything from the store, you can get 15% off, just use code donna15. Did you know that we are onTwitter, Instagramand Facebook?. If you haven’t done so already, please follow us on these different social media outlets. You don’t want to miss out on any fun promotions! Also, if you enjoy visiting my blog, please click “join this site” on the right side of this post. I also have a facebook page that I post all my creations too. Thank you for stopping by and Good Luck on playing along with this challenge! WOWeeeeeeeeeeeee! Super duper cards and a great post Donna — I am also in LOVE with the new Hero Ombre Inks! So many eye candies!! 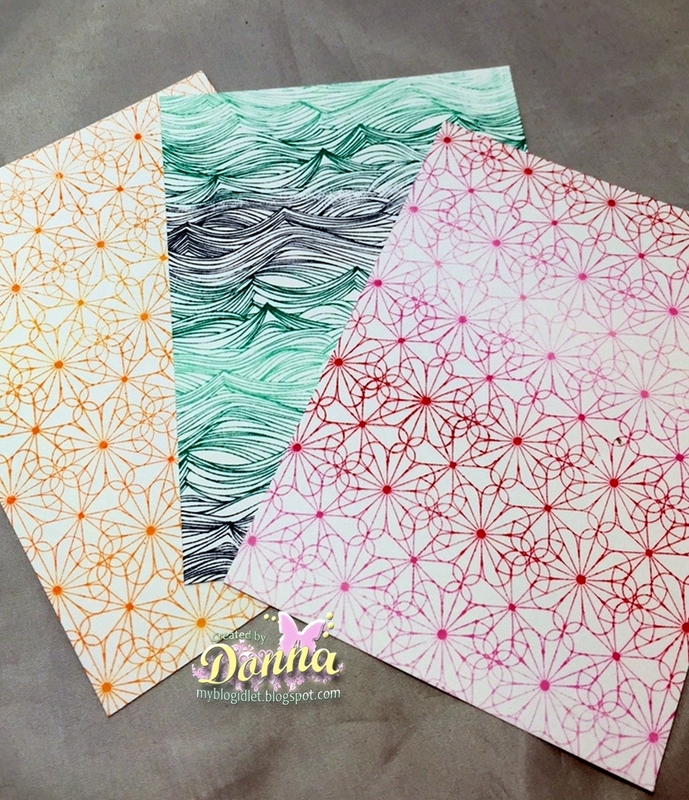 Fabulous usage of the ombre ink, thanks for a wonderful post Donna!!! Lovely work. I haven’t seen those ombre inks. Spectacular!!! Keep smiling and creating. I really like the ombre inks with the waves stamp. Its so striking.